যে কোনো টিভি ঠিক করার দোকানে বলবেন "রিমোট এর লাইট আছে ভাই?" মানে রিমোট এর সামনে যেই লাইট গুলা থাকে? অর্থাৎ দেখবেন লাইট গুলোর এক সাইডে ইকটু অংশ সমান করা, গোল না!! অই জায়গার পিন টি - . 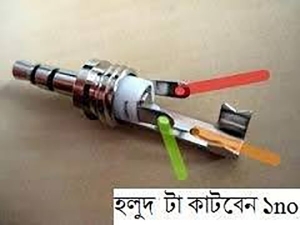 অন্ন্যটা + . The Irdroid project comes to the rescue for those who want to add an IR blaster to their phone on the very cheap. Irdroid is a tiny contraption that plugs into your Android device's audio jack, and emits... you guessed it... infrared signal. The device might look a bit unwieldy, powered by one AAA battery, but at $15 we wouldn't complain too much. Irdroid comes with its own Android app, which is an open-source port of the LIRC (Linux Infrared remote) platform, and has hundreds of Samsung, LG, Motorola, Sony, Panasonic, Philips and other remotes preset already. The gizmo has an extended line-of-sight range of 30 feet (about 10 meters), too. If you have the time and resource then you could make one for yourself. Here is a DIY video. 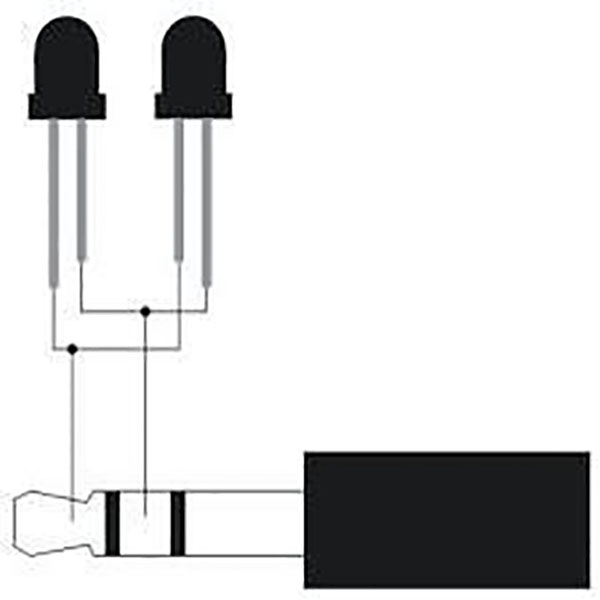 Audio port can send any kind of signal you need. It can be either digital I/O signal or basic analog signal. It's all about application you will use to generate signals and a way you will light up IR LED. You may need some extra circuitry for this since audio output has very low power, so you may use transistors as amplifier. Circuit I draw can control two devices in same time without need for multiplexing (one LED, multiple devices). You should use application which will generate square wave digital signal. So, either HIGH (1) or LOW (0). That way transistors will light up IR LEDs on HIGH. Q1 and Q2 are 2N3904 because 2N3904 can handle up to 500ma which is sufficient in this case. 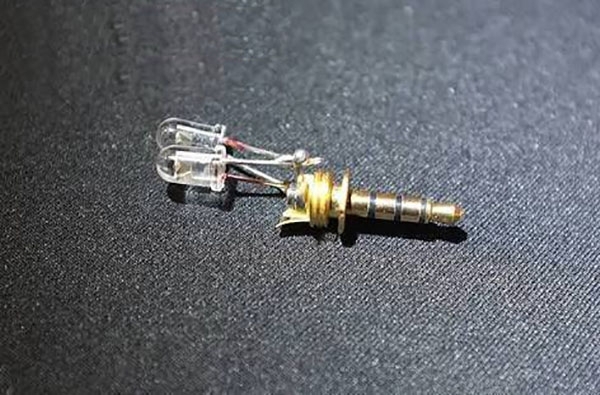 For stronger IR LED-s you may use better transistors. You might use only one IR and/or transistor if you need two channels.